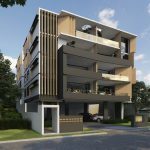 The Tallows is a new townhouse development in Indooroopilly. The 17 three and four-bedroom townhouses are designed to be both functional for the regular day-to-day, and ideal for entertaining, which can be seen in details in the floor plan designs. 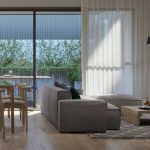 These Brisbane townhouses are also designed to allow in as much natural light as possible, which will be a much-loved feature in sunny Queensland. With almost all of the development now sold, there are only a few remaining townhouses for sale. Prices start from $739,000 for the three bedroom townhouses, and construction is expected to begin in mid-2019 for an expected completion in mid-2020. The Tallows also features landscaped gardens, a pool and BBQ area. There is currently no display suite available for The Tallows townhouses. These townhouses are designed by award-winning AG Architects, who have designed spacious and airy interiors throughout this development. Although The Tallows is on the smaller size of townhouse developments, it has everything homeowners could need, including a pool, and a dining and BBQ area. The gardens and communal areas are designed by Form Landscaped Architects and there is a clear focus on highlighting natural materials wherever possible throughout the project. Construction at The Tallows townhouses is expected to get underway in April 2019, with completion expected for March 2020. 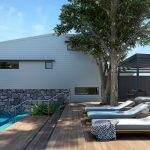 Residents at The Tallows will have access to a pool and timber deck, as well as a tiered BBQ and dining area. This space is designed so that residents can relax among themselves, or host small get-togethers with friends and family. 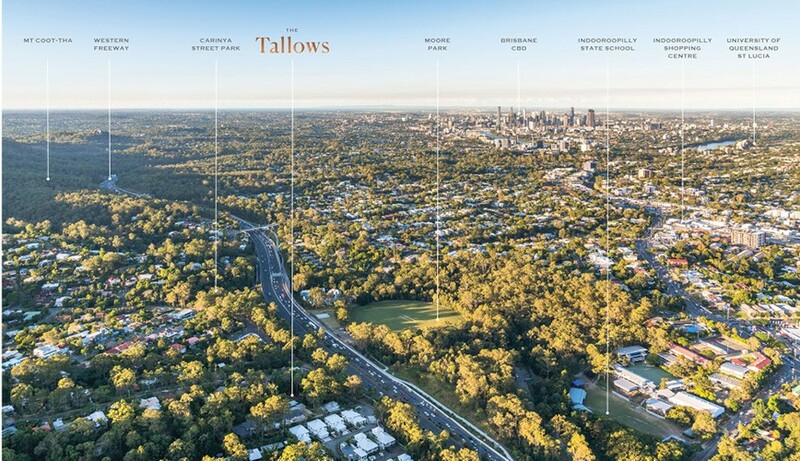 The Tallows is located at 19-23 Jenkinson Street, Indooroopilly, placing it just outside the heart of the suburb. 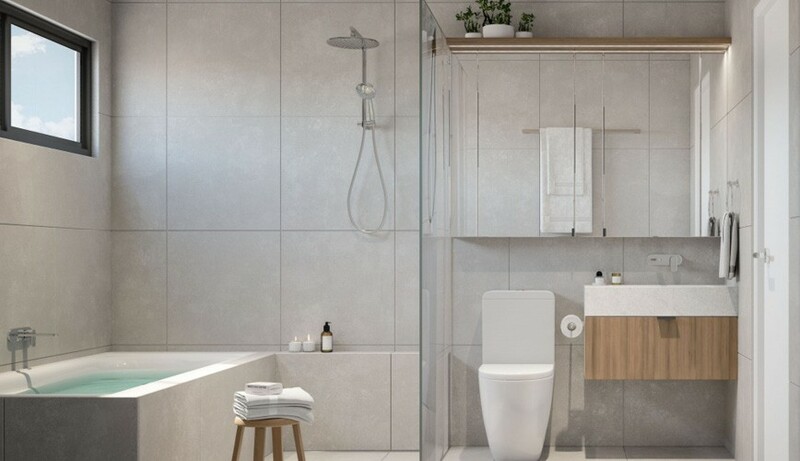 The project is only a few minutes away from many amenities, including parks, schools and shopping centres, which makes it ideal for those who like to be in the centre of it all. It is sightly tucked away from the hustle and bustle of the Indooroopilly Shopping Centre and main roads meaning traffic noise and street parking shouldn’t be too much of an issue, although Jenkins Street is connected to the M5 (which is great for commuters). Residents can send their children to the nearby Indooroopilly State School, which is two-minutes drive away, or 15-minutes walk (if kids walked to and from school, that’s almost half of their daily exercise sorted). Indooroopilly State High School is unfortunately not in walking distance, but it is less than 10-minutes drive away. You could also send your children to St. Peters Lutheran College, which is just around the corner from Indooroopilly State High School, and runs from Prep to Year 12. Ironside State School is another option which is popular with locals. The University of Queensland St. Lucia campus is also less than 20 minutes away, for those undertaking tertiary education. Residents can also easily access the nearby Moore Park, which is home to the Indooroopilly Districts Cricket Club. 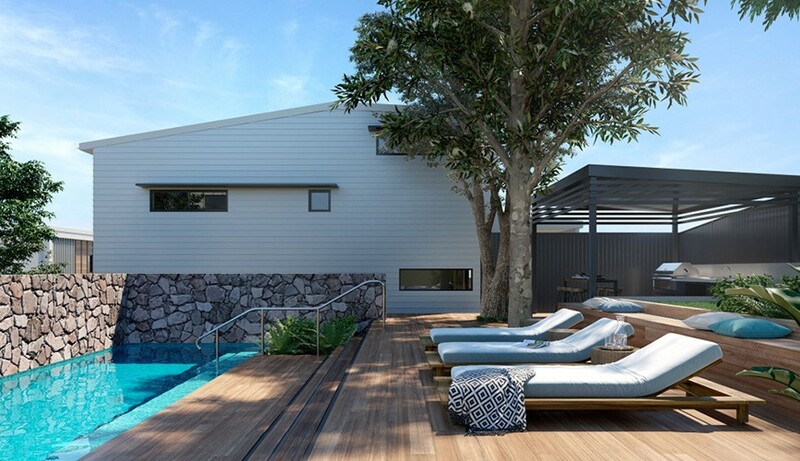 All of the townhouses at The Tallows are designed to make living in Queensland weather enjoyable. 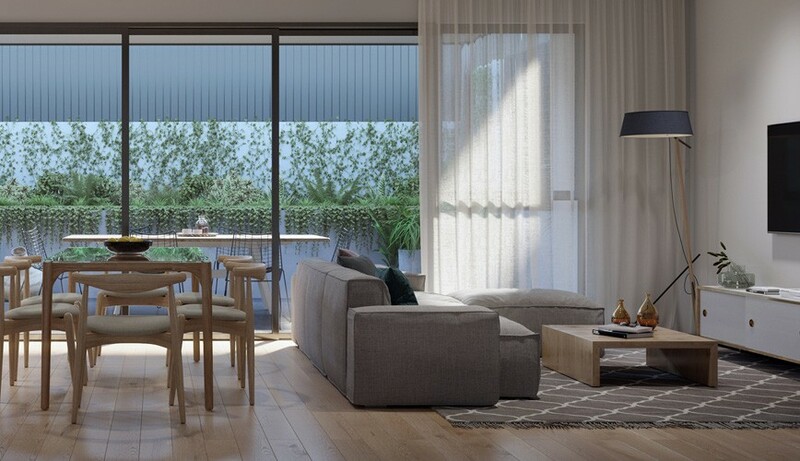 To this extent, the townhouses are designed with large windows and open spaces, to allow in the maximum amount of light — something all Queenslanders will appreciate during the summer months! The townhouses, which all have either three or four bedrooms, also have two living areas (one downstairs and one upstairs), which is indicative of the fact that these townhouses are also designed for families. 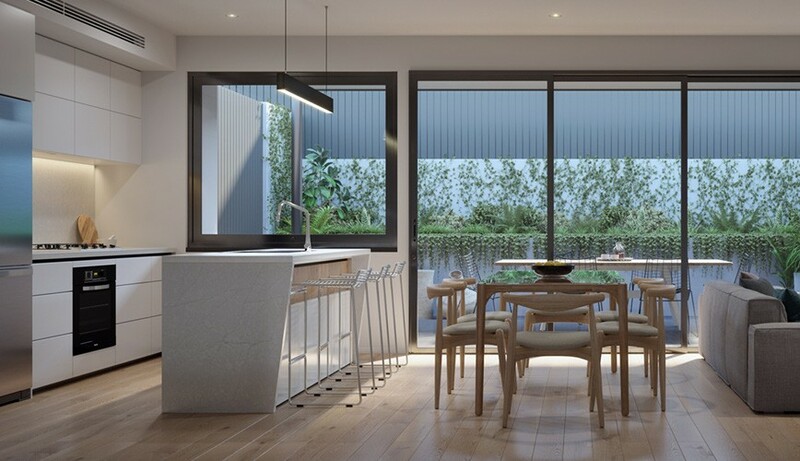 The townhouses all have a large rear deck, which, through a servery window that connects to the kitchen, helps integrate the interior and exterior spaces. Buyers can also choose to add a built-in BBQ and wet kitchen outside, to further help with the integration. This is a stand-out feature of the townhouses, as it both opens up the space and creates an area where interaction is easy. The master bedroom has a connected ensuite with double vanity, along with a walk-in wardrobe. The main bathroom features a bath and a separate shower, which is another sought-after feature for families. 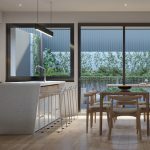 The four-bedroom townhouses are sized around 170 square metres internally, with patios upwards of 20 square metres and private courtyards sitting around 55 square metres. The downstairs area features a double lock up garage, study and internal laundry (with additional toilet) as well as the open-plan living/dining/kitchen area. Upstairs, you will find the bedrooms. In the four-bedroom floor plans, both the main bedroom and second bedroom feature walk-in wardrobes, while all additional bedrooms offer built-ins. There is also an upstairs media room, which can easily be used a a children’s play room or a library. For floor plans of the individual townhouses that remain for sale, please enquire below. All of the townhouses at The Tallows are finished to a high quality. There is ducted air-conditioning throughout the townhouses, along with ceiling fans in all of the bedrooms. The kitchens all feature a 20mm stone bench top with a 40mm mitred edge, which adds a rather lux touch to the space. The smart appliances are integrated into the kitchen. All of the cupboard doors have soft-closing fixtures, along with shadow line pull handles. 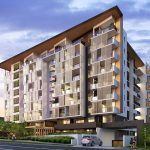 Also located in Indooroopilly is Westside apartments which were completed late last year and are ready to move into now. 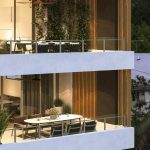 Other off-the-plan options in Indooroopilly include Vogue apartments and Arcadia. 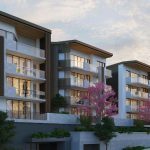 On Lambert Road, Vive apartments by Mosaic Property Group are currently under construction as Magnolia apartments in neighbouring suburb St Lucia. For body corporate fees at The Tallows, please enquire below. 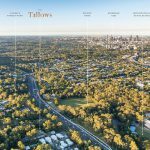 The Tallows is being developed by BlueSky Private Real Estate, a well-known Australian property developer. Based in Brisbane, they have a number of projects throughout Queensland, including in Townsville. The Tallows is their newest entry in the Brisbane market. Hi Dale. Yes, BlueSky is selling this development, and they are also the developers of The Tallows. If you use the enquiry form above, you can get into contact with them. Thanks, Inais.